I experienced something of a sense of déjà vu while researching the material for this week’s post — a number of stories in the Peterborough newspapers in the summer of 1914, and even some of the turns of phrase, seemed most familiar! A year ago, on the 100th anniversary of the outbreak of the First World War, I actually wrote about this time period, in a post that you can view here. 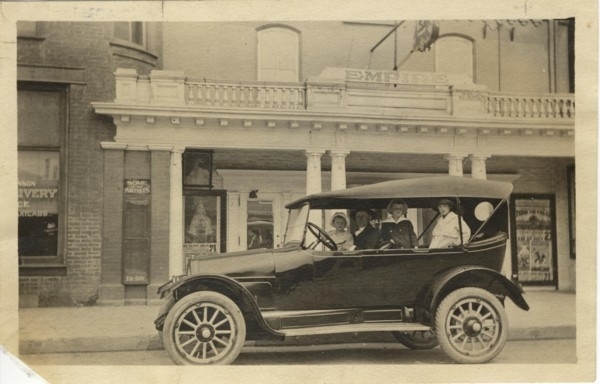 In that post, I covered a number of events occurring in Peterborough and in Canada this week 101 years, including the opening of the Empire Theatre on Charlotte Street, the Turner Valley oil boom in the West, the sad saga of the S.S. Komagata Maru, and some other items. Rather than re-hash those stories here, I would invite you to check out the post linked above. However, there are of course a couple of international matters that need to be dealt with, so read on for a brief post about impending wars (plural)! In the week of July 22nd, Peterborians were certainly worried about the possible outbreak of war, but it was not, at least for these few days, the conflict brewing in the Balkans that had them concerned. Instead, they were watching attempts to forestall a civil war in Ireland. 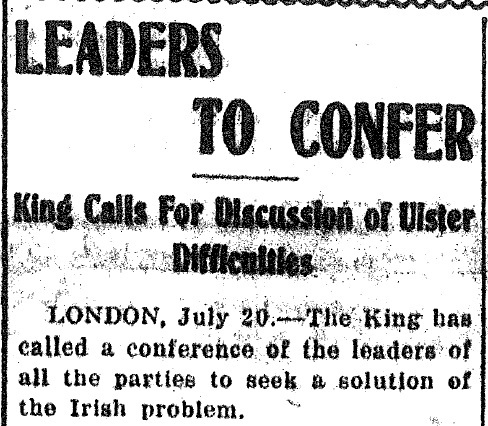 The question of Home Rule for the island had been bubbling away for decades at this point (we have talked of it a few times in this series), and the latest attempt at a bill to provide the Irish with self-government had run aground over the issue of what to do with Ulster. Unionist Irishmen, mostly Protestants who were opposed to Irish independence, wanted a place of their own, exempt from the Home Rule bill. 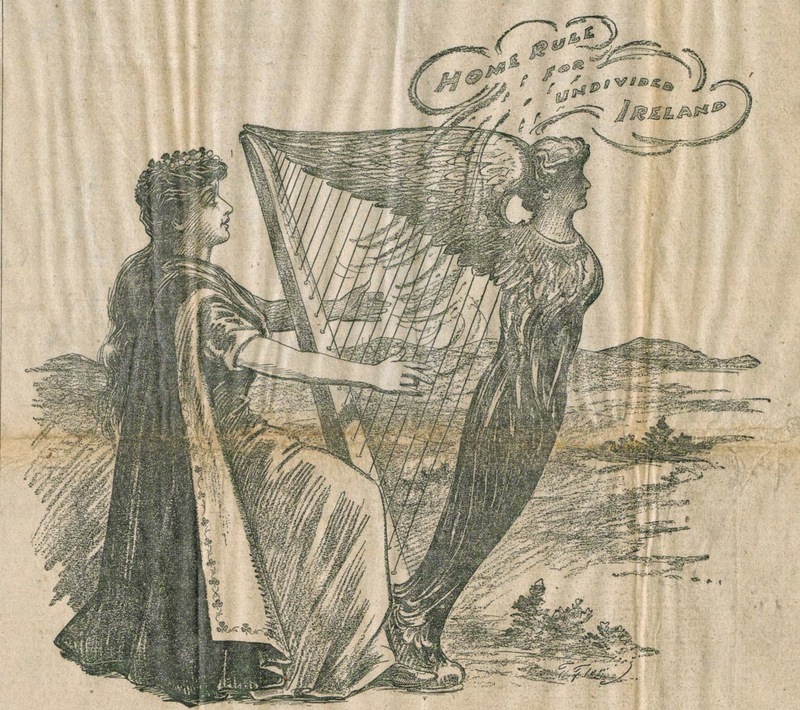 While most Irish Nationalists, generally on the Roman Catholic side of the ledger, were not opposed to this on principle, there was considerable debate over exactly how much territory would be set aside for Unionists. In the meantime, both sides were arming themselves, setting up local paramilitary militias, and doing other such alarming things. On July 24th, the Peterborough Examiner reported that British troops were being posted to Ulster “with a view of coping with any contingency which might arise.” The soldiers had been warned, under threat of court-martial, that they were not to cooperate with either side in the dispute, or with their paramilitary groups. 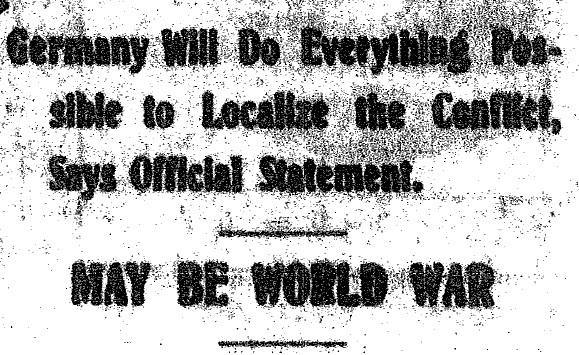 Peterborough Examiner, July 20th, 1914. In any case, the outbreak of the First World War just a couple of weeks later pushed the Home Rule issue onto the political back burner for a time. Peterborough Examiner, July 24th, 1914. As noted above, I invite you to investigate “Peterborough on the Eve of War” for further information about what was going on in our fair city that summer. You can also read of an earlier July in Peterborough, in this post about 1862. Next week, we will look at wartime Peterborough in late July and early August of 1915.